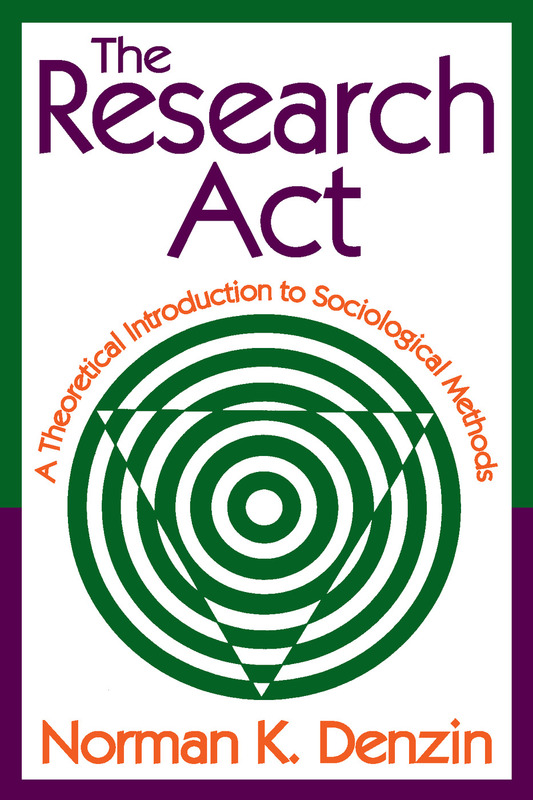 At once a unique textbook for methods courses and a major contribution to sociological theory, this book teaches students the principles of research and how to construct and test theories. It brings coherence to the study of methods by presenting four major approaches to experimentation: survey research, participant observation, life histories, and unobtrusive measures from a single theoretical point of view, symbolic interaction. It demonstrates the need for a synthesis between theory and methods, and shows how different methods limit and aff ect research results. Denzin's argues that no single method, theory, or observer can capture all that is relevant or important in reality. He argues for the use of triangulation and for a view of theory and methods as "concept sensitizers." His approach enables sociologists to acquire specifi c facts about a particular situation while simultaneously elevating these to the level of shared meaning. The author shows students how to proceed with research, bringing sharply into focus the possibilities and their limitations. Since his view is integrated rather than eclectic, this is much more than a "how to do it" manual. Denzin points out aspects of research that fall outside the scope of a given method yet aff ect results, and emphasizes the need to employ several methods to cross-check each other. The Research Act covers all the content of conventional methods courses. The presentation is exciting and imaginative, and provides a thorough review of major sociological methods, a cogent statement about approaches to sociological inquiry, and a source from which a understanding of the problems of research can be derived.